Murfreesboro, TN – Austin Peay State University’s baseball center fielder Alex Robles had three hits, including a run-scoring triple, but the Governors dropped a 3-2 nonconference decision to Middle Tennessee, Wednesday night at Reese Smith Jr. Field. 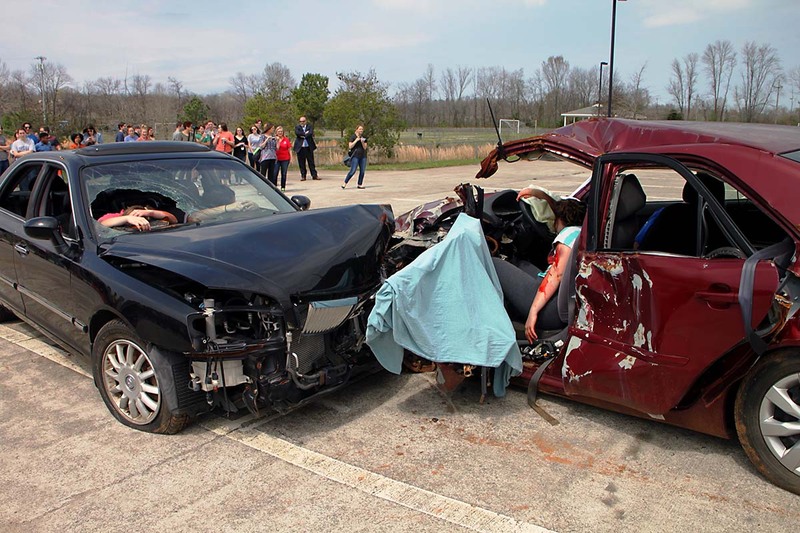 Clarksville, TN – The Clarksville Police Department, with Life Flight, Montgomery County EMS, Clarksville Fire and Rescue, and Montgomery County Sheriff Office held a Mock Crash on Wednesday, March 29th, 2017 at the Clarksville Academy Complex on Highway 48/13. 100 Clarksville Academy Student witnessed first hand the after math of Distractive Driving. 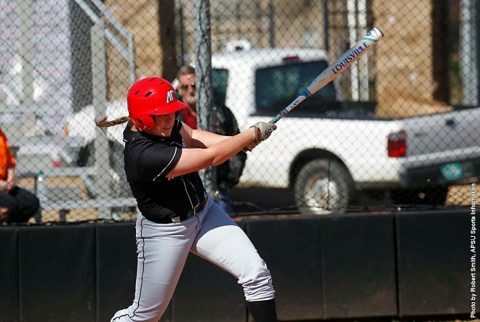 The Students were able to witness Emergency Personnel, and Law Enforcement Personnel respond to a multiple fatality crash. Mock Crash Exercise held at the Clarksville Academy Complex today. Clarksville, TN – A common regret recent college graduates share is that they wish they had not let opportunity pass by them. 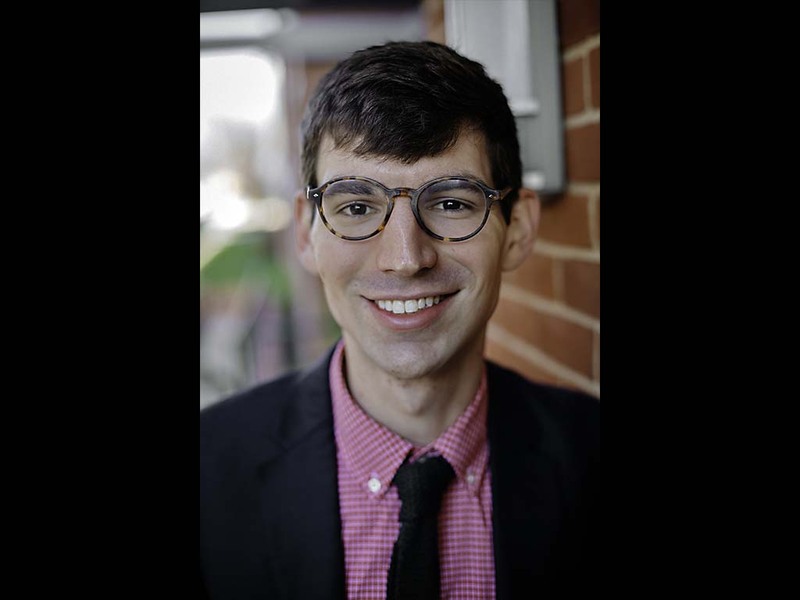 It’s a complaint that takes a lot of forms — some wish they had studied abroad, others wish they joined a campus club and still more wish they had taken that internship opportunity — but you would not be alone in wishing you had said “yes” more often during your college years. 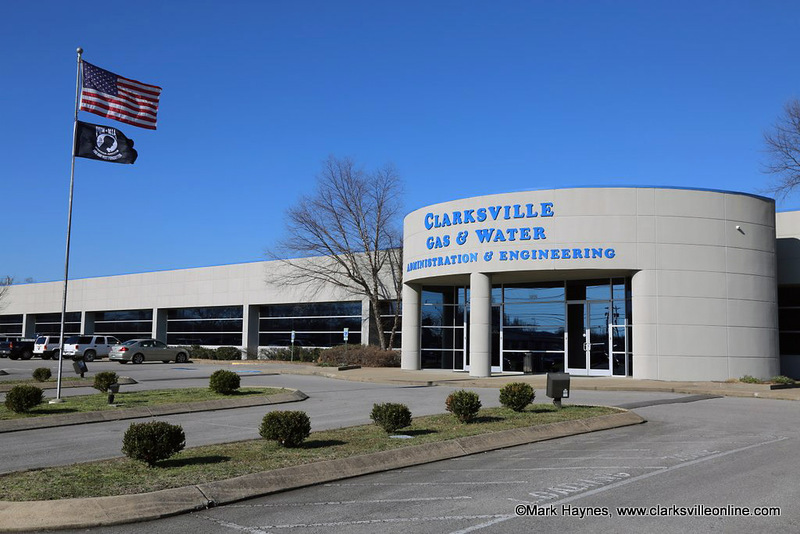 Clarksville, TN – The Clarksville Gas and Water Department has already done a press release about the issue on Wilma Rudolph Boulevard. The Clarksville Police Department is monitoring the situation to levitate the congestion however commuters are advised to find alternate routes. Clarksville Police Officers are monitoring the traffic problems on Wilma Rudolph Boulevard around Exit 4. Clarksville, TN – Clarksville Gas and Water is repairing a water service line on Woodland Road causing low water pressure for area residents. A water outage may also be possible during the work. 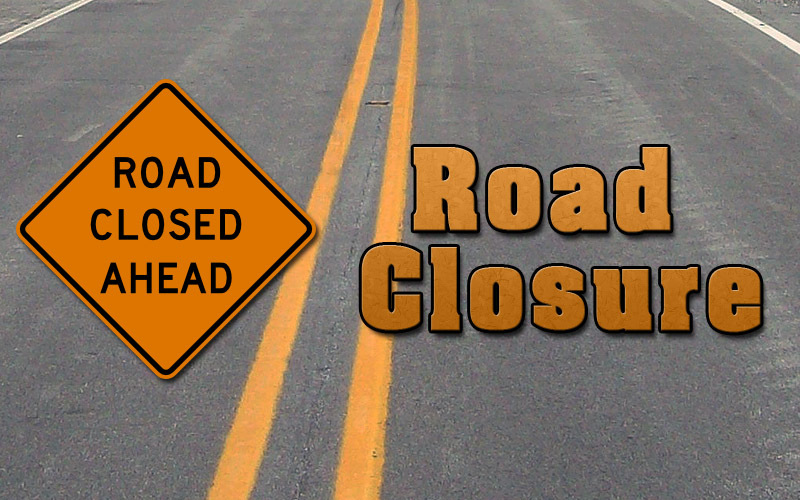 Clarksville, TN – Clarksville Gas and Water has closed the outer southbound lane on Wilma Rudolph Boulevard from Interstate 24 to Westfield Court to repair a water main break. 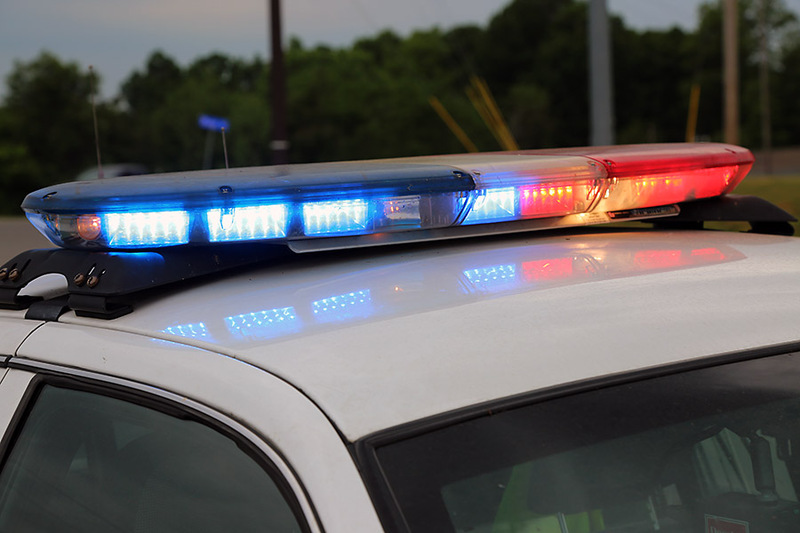 The intersection of Wilma Rudolph Boulevard at Westfield Court is also closed to traffic and law enforcement is present to redirect traffic around the intersection. 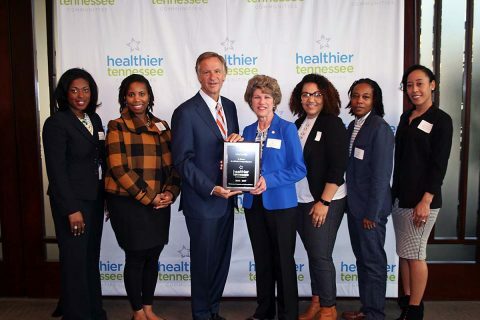 Clarksville, TN – Clarksville Mayor Kim McMillan and members of Healthy Clarksville were applauded Tuesday morning by Tennessee Governor Bill Haslam for making Clarksville a Healthier Tennessee Community. The Governor’s Foundation for Health and Wellness hosted a breakfast and awards ceremony at Waller Law in Nashville to honor Clarksville and eight other communities that have earned the designation. Tennessee Governor Bill Haslam presents a plaque to Clarkville Mayor Kim McMillan and members of the Mayor’s Fitness Council/Healthy Clarksville designating Clarksville as a Healthier Tennessee Community. 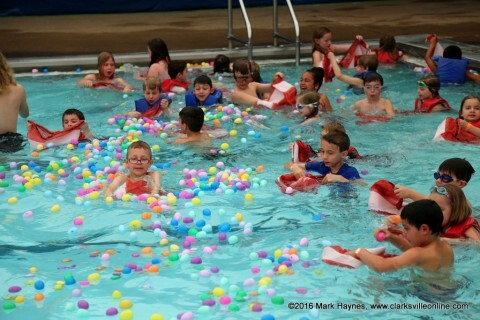 Clarksville, TN – Clarksville Parks and Recreation is excited to host a not-so-typical egg hunt at the New Providence pool, 168 Cunningham Lane, but you should reserve your spot soon as spaces are filling quickly! Sixth annual Wettest Egg Hunt to be held Saturday, April 8th, 2017. 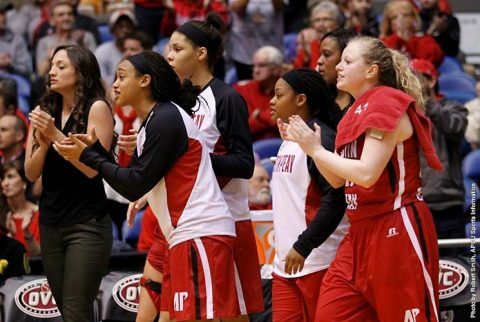 Brentwood, TN – For the first time since the 2013-14 season, the Austin Peay State University women’s basketball team earned the Ohio Valley Conference Team Sportsmanship Award. On Tuesday the conference office announced the recipients of the 2016-17 accolades for men’s and women’s basketball. 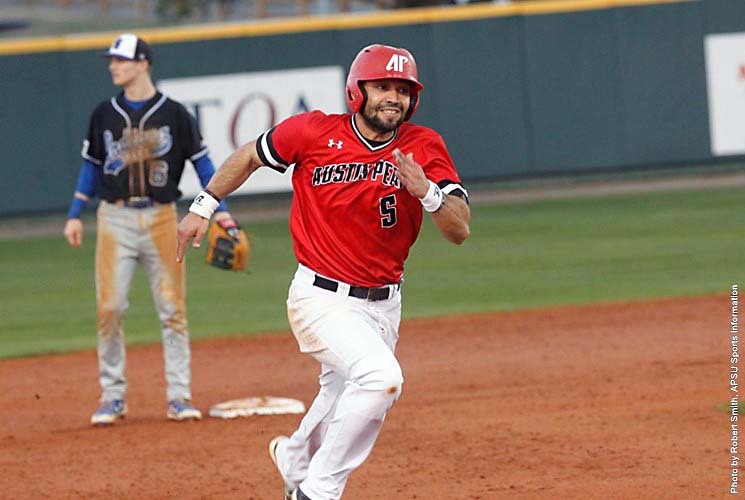 Belmont received the honor on the men’s side.